Beer Fellows: Which President would you want to have a beer with? Which President would you want to have a beer with? Yesterday was Presidents Day so we are going lightly surf over Presidents and beer. brewed in the White House. 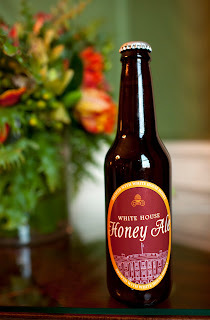 First a little bragging, having been in the Presidential box at the Kennedy Center I can tell you that President Obama doesn’t have exceptional beer taste. (No, the President was not there.) It was just an assortment of Budweiser products. While that is a slight detraction our current President redeems himself since they are the first residents to brew beer at the White House, which is surprisingly given some of its residents over 200 years. Politics aside, that is awesome. To celebrate this weird little holiday I wrote this piece and drank a beer. To be more specific it was a General Washington’s Tavern Porter, a little bit of history in a bottle, brewed by Yards Brewing in Philadelphia using one of Washington’s very own recipes. This is part of their Ales of the Revolution series and it shares space with (not a president, but all around awesome dude) Ben Franklin’s Poor Richard's Tavern Spruce Ale, and Thomas Jefferson’s Tavern Ale. Not to be left out the fine folks at Starr Hill Brewery in Charlottesville, VA have also been brewing Monticello Reserve Ale, a recreation of the small beer Jefferson brewed at his home. While various Presidential views have swung on the pendulum of beer, one President takes the cake for giving a lot of thought to beer. Our fourth President, James Madison, who brewed beer at his estate of Montpelier, (also father of our constitution among other things), proposed the creation of a national brewery and that every state should also have a brewery. He took it one step further when he wanted a cabinet position to be created for the Secretary of Beer. That could have potentially been the best job ever. I have wondered which President I would like to share a beer with. You see this question pop up from time to time, hell the Presidential beer test is a classic election ploy used by networks. We talked a bit about this on the Beercast a few weeks ago with the presidents who served since I have been of legal drinking age, but if I looked further back then here would be my top 5 and bottom 5.
good homebrew to the party. 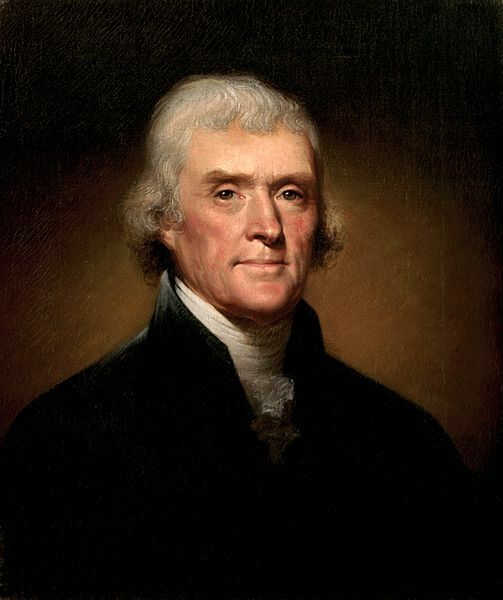 Thomas Jefferson – You would not lack for conversation and he would have probably brought his own beer. George Washington – Like Jefferson he would have brought his own, also all around cool dude. Teddy Roosevelt – it would be energetic but fun! Honorable mentions: Gerald Ford, particularly if you were watching football. Franklin Delano Roosevelt, he brought beer back! Dishonorable mention: Warren G. Harding – While he and his cronies drank, he signed laws that made Prohibition even stricter. Bill Clinton - talk about story telling! James Madison - so what did you really mean in the Constitution? Thomas Jefferson - Renaissance Man and the balancer to Madison on many fronts. Harry Truman - just seems like a pleasant chap. Dwight Eisenhower - two words: war stories. George W. Bush - nice guy, doesn't drink anymore, screwed us all good. Ronald Reagan, second term - nodding off after just one, I bet. William Howard Taft - sold us out. Andrew Johnson - general screw up. James Buchanon - were you trying to start a war?